As you must have realised, The real reason for your suffering is that you have been living as per other peoples expectations for far too long, and have simply fallen out of alignment with your true potential and your true unlimited self. While, the successful people around you are living their potential and fulfilling their dreams. Its just that, you had not found the guidance & time, as yet, to look inwards and re-align yourself. All this while that you have been stuck & unhappy, your innate fear and boredom will combine to produce a lack of excitement & enthusiasm towards work, a certain uncomfortable uncertainty to taking new challenges for fear of failure, or fearing what people will say (those same people who are stuck & unhappy themselves). Sadly enough, but just because boredom and fear are cultivated by our corporate environments, it does not mean you have to continue living the un-happy life. You can change it. 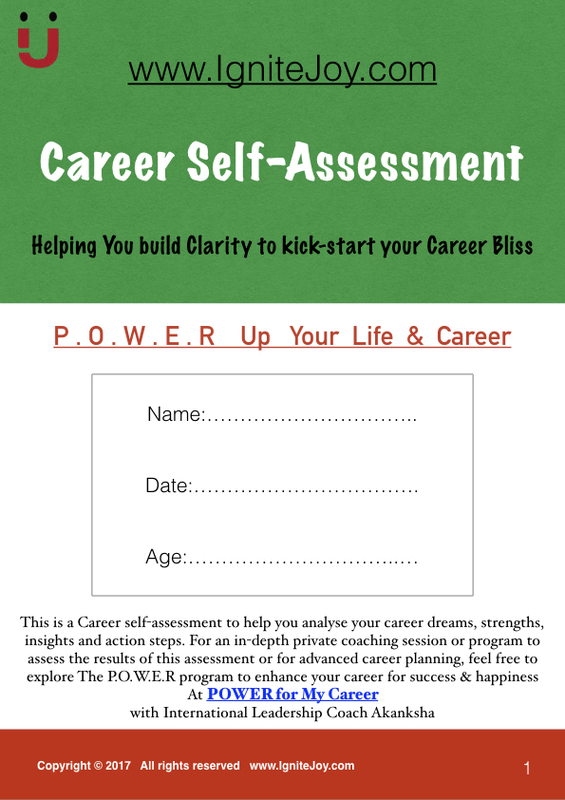 The POWER coaching Program has been designed to get you supercharged-up and on your track to career bliss. You can actually build a successful career that you will love & enjoy. And live your life just as you truly desire & deserve. You will be able to stand up, speak up and live your desires for real. Once you allow yourself to look inwards and appreciate & understand yourself more, all this boredom becomes a thing of the past. When you allow yourself to come into alignment with your true potential, you start enjoying what you do and you will see that success is automatically attracted to you. Each of these elements combine to create a powerful system of coaching. The modules are customised & personalised as per the client requirements to align for the client's individual overall success. You will have your focus, your clarity, your motivation and will be creating your own opportunities going forward. 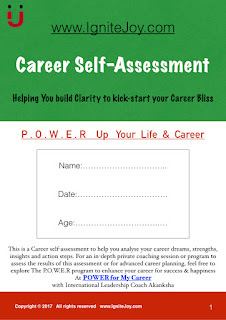 It will enable you to take control of your career and success. You will witness a renewed zeal and confidence to move forward on your path to Success in your own unique way. No Risk at all. The program has been designed for your success. If by any chance, If you are at any point not comfortable in any of the discussions, please write to us so that we can make immediate amends, so as to bring you results. Our purpose is to serve you and help you succeed. If you have any further queries, please feel free to write to us. Why do You want to wait any longer to build a happy & successful career ? ?